Professor Andrzej Sołtan was an outstanding nuclear physicist, co-inventor of artificial neutron sources, and designer of the first Polish accelerators. He authored many scientific papers on X-rays, spectroscopy of electromagnetic radiation of energy between the ultraviolet and X-ray bands, as well as on nuclear reactions. He spent years 1932-33 in Pasadena (USA) where he invented artificial sources of neutrons. Reactions of lithium and beryllium nuclei with deuterium ions have been used long time afterwards as a primary source of neutrons. Since 1947 a professor in the Warsaw University, since 1952 a member of Polish Academy of Sciences. Organizer of Institute of Nuclear Research (IBJ) in Świerk and its first Director (1955). Co-organizer of Joint Institute of Nuclear Research in Dubna, USSR, and a member of its Scientific Council for many years. Andrzej Sołtan was born on November 25, 1897 in Warsaw in an old although impoverished aristocratic family. His father was an engineer employed as a Head of Łódź Railway, his mother Amelia Maria neé Weyssenhoff was a sister of an outstanding writer Józef Weyssenhoff. A.Sołtan graduated in 1915 in St. Stanisław Kostka High School, next joined Page Corps, an exclusive military college in Petersburg. Those times it was a method to avoid being recruited to the tsarist army and dispatched to the war frontline. (After many years A.Sołtan was an official guest visiting Winter Palace in Petersburg, that time re-named to Leningrad. When he revealed knowledge of the local topography, the guide asked „Have you ever been here before?”. „Yes, in 1917”, replied Professor. „Did you participate in capturing the Palace?”, asked the guide. The answer was: „No, in defending it!”). The years of the WWI war A.Sołtan spent in Petersburg, where he graduated the high school. 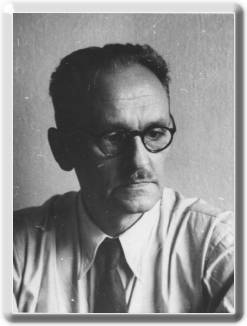 After the war he returned to Warsaw where he studied physics at the Philosophy Faculty of the Warsaw University (UW). He accepted a position of assistant in the Experimental Physics Institute of the University even before he finally graduated. He received a PhD degree in 1926 for a thesis on emission spectrum of mercury hydride. A year later Science Department of the Ministry of Religion and Public Education granted A.Sołtan a stipend that enabled him to spend a year in Paris. Here, in a renown Maurice de Broglie laboratory he investigated together with Jean Thibaud an unknown region of the electromagnetic spectrum between ultraviolet and soft X-ray band. After returning home A.Sołtan engaged into expansion of the Experimental Physics Institute of the University. That time he worked out a model of capillary arc mercury lamp used thereafter for many tens of years in numerous physics labs. In 1933 A.Sołtan was granted a Rockefeller Foundation stipend and spent a year in Kellogg Laboratory of California Institute of Technology (Pasadena). Here he collaborated with Richard Crane and Charles C. Lauritsen. They bombarded lithium/beryllium targets with deuterium ions with the aim to produce artificial beams of neutrons. The then discovered reactions remained for many years to come the main source of neutrons in physics labs al over the world. After his leave of absence was over, A.Sołtan tried to continue research in nuclear physics in Warsaw. In 1939 he won post-doctoral degree and started to work in the Polskie Zakłady Philips company. Without any consultation he constructed cascade accelerator to accelerate deuterium ions to the energy of 800 keV. He started also work on a small cyclotron, not ever finished because of outbreak of the WWII war. He was mobilized 10 days after his wedding. After concluding the September campaign he returned to Warsaw. He was teaching at secret university organized by Stefan Pieńkowski. After a short pause he resumed work at Polskie Zakłady Philipsa, where he found good camouflage for conspiracy activities. Formally he was Head of the company lab. In 1944 he was evacuated together with the entire company to Vienna. After the WWII war A.Sołtan returned to Poland. He worked as Head of the Łódź Technical University Physics Lab. He moved back to Warsaw as soon as Atomic Physics Chair was brought into existence at the Warsaw University and took the Chair. In 1947 he became Warsaw University Professor. For an invitation of the US government together with Professor Stefan Pieńkowski they represented Polish scientists as observers of a test atomic explosion on the Bikini atoll. In 1952 Professor Sołtan became corresponding member of Polish Academy of Sciences (PAN) and Head of Radioactive Isotope Laboratory in the just created Institute of Physics PAN. In 1955 that Laboratory was incorporated to Institute of Nuclear Research (IBJ), co-organized in Świek near Warsaw by Professor Sołtan, who then became its first director and Chairman of its Scientific Council. Low- and medium-energy nuclear physics laboratories organized in Świerk could effectively investigate nuclear reactions thanks to the EWA reactor put into operation in 1958. In 1955 and 1958 Professor Sołtan participated in the first and second International Conference on Peaceful Applications of Atomic Energy organized in Geneva. He also engaged in organizing Joint Institute of Nuclear Research in Dubna, USSR. Since 1956 when the Institute commenced operations Professor Sołtan was a member of its Scientific Council. In 1957 Professor Sołtan resigned from his post as IBJ Director in order to devote more of his time to scientific research. He died unexpectedly on December 10, 1959. Professor Andrzej Sołtan was the patron of the Institute for Nuclear Studies (IPJ), one of the two Institutes located in Świerk in the years 1982-2011. Currently the street routed to the Świek research centre (run by NCBJ) is the Andrzeja Soltana street.